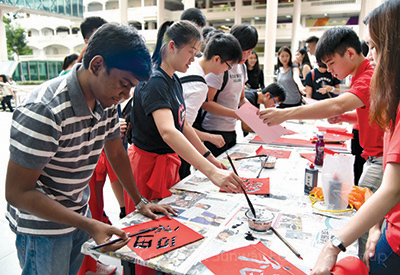 Making the occasion merrier was a bazaar featuring various stalls selling food and drinks, clothes and jewellery, and a booth for all to try their hand at Chinese calligraphy. 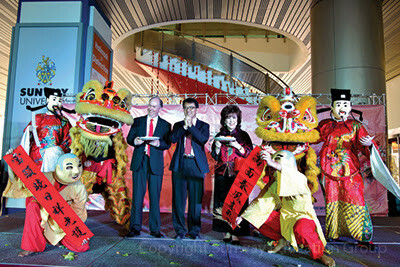 As with all Chinese New Year celebrations, the God of Prosperity made an appearance on campus. “It has been fun, I helped with the decorations,” said Lee Jia Qi who is in her second year of the Association of Chartered Certified Accountants (ACCA) programme. For Lim Li Zhen who is in the first year of the BSc (Hons) Actuarial Studies, she said she learned a lot through her participation in the event. Lee and Lim together with Ng Hui Yee were helping out at the booth selling drinks. Hewawasam Puwakpitiyage Lakshan Sanjana, from Sri Lanka who completed his A-Level at Sunway College and is now pursuing his BSc (Hons) in Accounting and Finance at Sunway University said “Chinese New Year is about the holiday season and meeting my high school friends in Malaysia who celebrate the festival, and of course getting ang pows.” Lakshan who found the on campus celebration very lively and happening also tried his hand at Chinese calligraphy. Mysha Rahman currently in her second year of the Victoria University Bachelor of Business programme from Bangladesh said this was her very first Chinese New Year celebration. 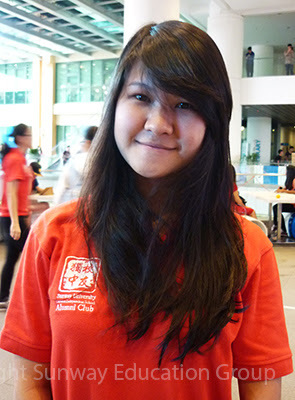 Chew Cai Yi, President of the CISA Club said preparations for the event started last year in November. Altogether about 80 committee members, helpers and advisors were involved in in making the event a reality. She said it was a challenge when it started raining and they had to move and take down some the decorations. She also said her team had to explore and approach the various performance teams and vendors for the event. 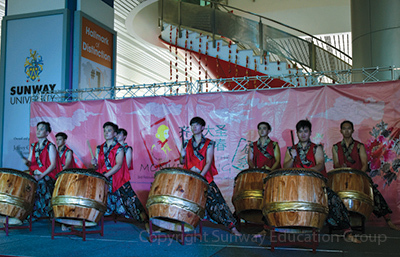 Chew explained the members of the24 Festive Drum and Lion Dance troupes were comprised of Sunway students. All members were dedicated towards the team and the event, and had practiced hard. It was a challenge too as the members had to find suitable times where all could come for practice as all of them were from different programmes and had diverse class schedules. She said she was happy to be able to contribute and see the event a success as for more than a week leading to the celebration, many of them stayed late into the night busy with preparations. 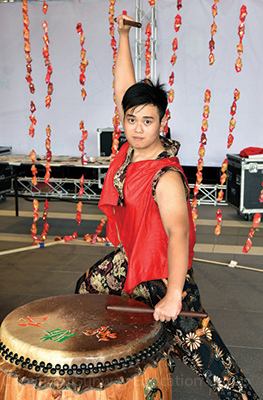 Han Boon Siew, ex-President of the CISA Club who is pursuing his Australian University Programme at Sunway College, this year supported and participated in the event as a member of the 24 Festive Drum troupe. Performances throughout the day included a Dragon Dance by Chung Hua Independent High School, Diabolo (sometimes known as the Chinese yoyo) by Kwang Hua Private High School, Taekwondo by the Sunway Taekwondo Club, Cheerleading by the Sunway Cheerleading Club and many more. The Sunway CISA Club was formed to provide a platform for the interaction and communication of students from Chinese independent schools. 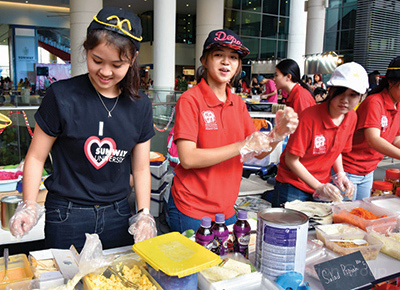 The club’s main aim is to provide peer support to those new to Sunway and also to those who are far from home.